A sandwich of cooked back bacon between white bread or hamburger roll. It is usually spread with butter and seasoned with ketchup or brown sauce and is generally served hot. 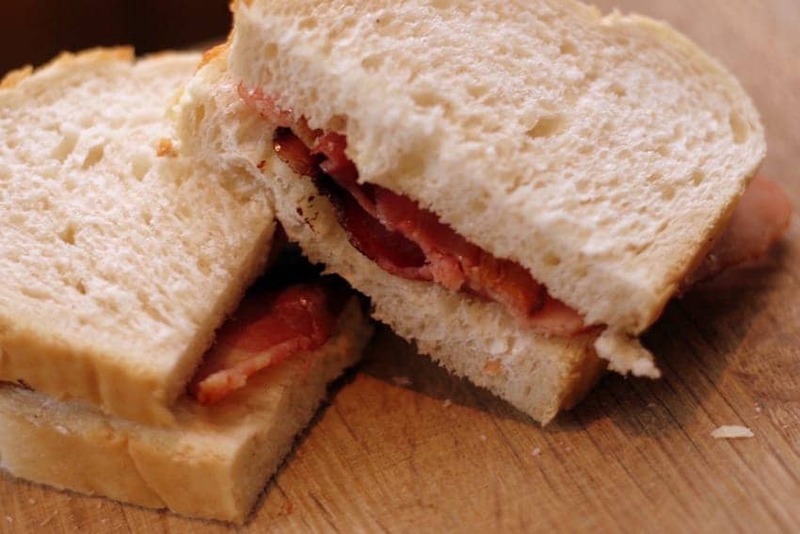 Bacon sandwiches are an all-day favourite. They are often served in basic 'greasy spoon' cafes and are popular as a hangover cure. The sandwich may be made from bread toasted on only one side.